The use of a breathalyzer to determine whether a person is driving under the influence of alcohol is not yet legal in Belize, therefore evidence gathered from a breathalyzer test cannot be used in a court of law against traffic offenders. This information came to light via Western Zone Commander, Superintendent Aaron Guzman after a recent traffic accident claimed the life of Yolanda Valencia, and critically injured Yanie Cu in Succotz Village, Cayo District. The accident involved Deputy Commissioner of Police Miguel Segura, who varying reports allege may have been intoxicated. According to Guzman, the community complaints that an alcohol test should have been made immediately on Segura after the collision are without substance. Guzman stated that currently, only urine or blood tests are legal forms of determining alcohol content in the blood. “There are some people suggesting that the alcohol test could have been done by the breathalyzer, which is not yet legal in Belize. We do not go by that, which is why blood was extracted and it was taken to the lab. There is a process that is done at the lab (and) to test the content of the alcohol,” said Guzman. 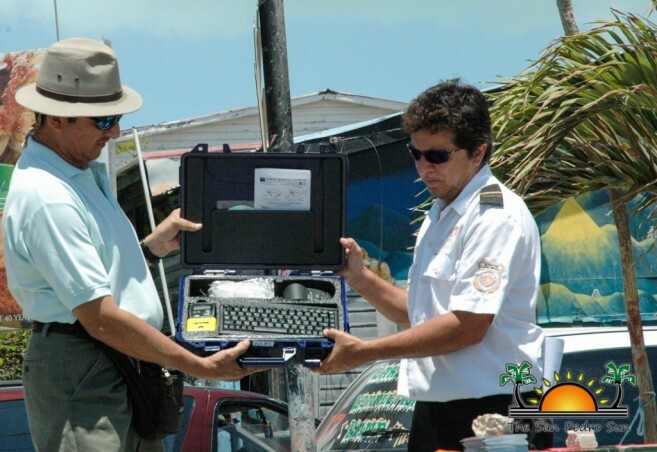 In April 2014, as part of the Belize National Road Safety Demonstration, a breathalyzer was donated to the San Pedro Traffic Department, a tool that can’t be used according to the laws of Belize. So if the breathalyzer is not yet legislated by law, then what is the purpose of traffic wardens having them? The San Pedro Sun contacted Deputy of the San Pedro Police, Inspector Henry Jemmott to shed some light on the topic. 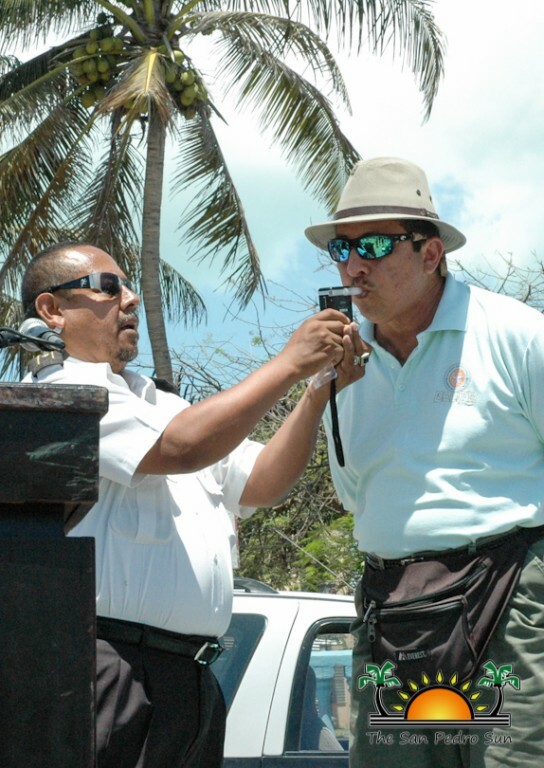 Jemmott stated that there is a lot of equipment used in other countries to enforce the law, but are not yet legal in Belize. Such equipment includes the ray gun, taser gun and the breathalyzer. “While these items are not mandated by the law, officers use them as an administrative tool to clear suspicions. For an example with the breathalyzer, if an officer believes a person is driving under the influence of alcohol they can administer a breathalyzer test to determine whether a urine or a blood sample should be taken to charge the suspect,” said Jemmott. He also explained that no one can forcefully be made to take the test, and consent of the driver must be given before doing a breathalyzer test. Efforts are being made by Chief Transport Officer, Crispin Jeffries to legalize the use of the breathalyzer, but until an amendment to the traffic laws are made and passed through the House of Representatives and the Senate the breathalyzer is of very little use legally.